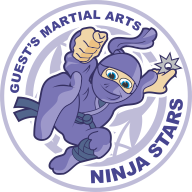 Our Junior Adults program is very focused on Self Defence based Martial Arts not sports based ones. This is a really important point, many schools only train for tournaments and not for self defence. The training is very different, the techniques and the focus of the lessons when they're being taught are very diffent to sports training. For example in most competitions there is no hitting to the head so many participants don't even raise they're hands up tp protct their face. In real life self defence it's exaclty the opposite. Also as you may have read in the paper recently both assaults and knife attacks in Melbourne have increased dramatically and many people have started taking responsibility for their own self-protection by studying Martial Arts. Knife Defence is a very important area of study for teens, alot of teens carry knifes as you can hear in this quick ABC radio interview here , it's very clear that knife attacks are real and growing. Virtually all of our training is practiced in pairs against "real life situations", e.g...... a student grabs your shirt with their right hand and punches towards your head with the left hand; we then practice a defence against this situation. We believe our partnered training methods are much better preparation for real life self defence than standing in a line and doing techniques by the numbers in the air. 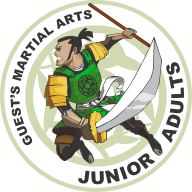 Our Junior Adults students study the Hanbo 3 foot staff and the Bo 6 foot staff. 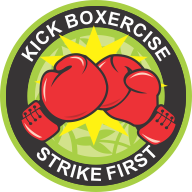 Skills include all of the basic strikes block and spinning methods as well as a selection of prearranged techniques. A Hanbo is a 3 foot staff that originated from the Bo either breaking or being cut in half in battle. In the Junior Adults classes we concentrate on the basic to intermediate levels of training with the Hanbo. We realise that you are almost certainly never going to use any of your weapons training in real life and we would never want you to. That said all of our students love this training not only for the extra body control and understanding it brings, but also because it’s a lot of fun. Did you know that there are over 500 hundred robberies using knifes reported in Melbourne each year? And thats just the robberies not assaults, murders, rapes (in 88% of rapes last year the victims were female, 12% male). Yet if you ask martial arts instructors you will find out the vast majority of martial arts schools don't teach any knife defence at all or just a little, let alone a structured program. So most martial arts students have no idea about what to do if someone decided to try to cut or stab tremor even how to get away. I believe that if you're not learning knife defence as a regular part of your training then you're not learning self defence at all. When someone takes out a knife and tries to cut you it's too late to be thinking....." I really should have joined the school that taught knife defence instead of a sports tournament one". How do I know that....... easy, because that's what happened to me! After training in Taekwondo for several years during my late teens I had a guy pull a knife on myself and two friends in a completely unprovoked random attack. Thankfully, after a few very tense minutes, we talked our way out of it but he did have the knife up against my friend's forehead as he ranted and raved about not going back to jail etc. 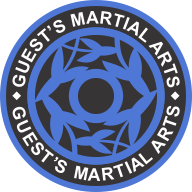 The next day I went looking for a Martial Arts school that had a long history of defending itself against bladed weapons and that's the reason why I started training in Japanese Jujutsu in 1990 and have never looked back. 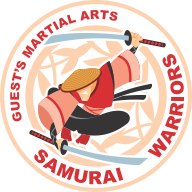 Our martial art has centuries of experience in defending against bladed weapons. Victoria Police say there were 13 incidents involving knives in Melbourne at the weekend, most of which were alcohol or drug-related and involved young men. Victoria Police say "there has been a 9 per cent rise in robberies involving knives over the past year"
The director of the Alfred Hospital's Emergency and Trauma Centre, Dr De Villiers Smit, says the past weekend is one he will never forget. "I worked this weekend and to the best of my knowledge I can't remember it being so busy with regard to stabbings" he said. Dr Smit says the hospital has seen a massive increase in the numbers of assaults in recent years. "In general, assaults have increased by about 50 per cent in the last couple of years, even more than 50 per cent" he said. Some researchers believe teenagers and young men carry knives for defence, while others believe they carry them because they think it is cool.